Come to the Truth At Work Discovery Session to learn about this transformational group. Imagine how your business would be positively impacted if you had a Christian ‘board of advisors’ with 200+ years of experience to draw upon. 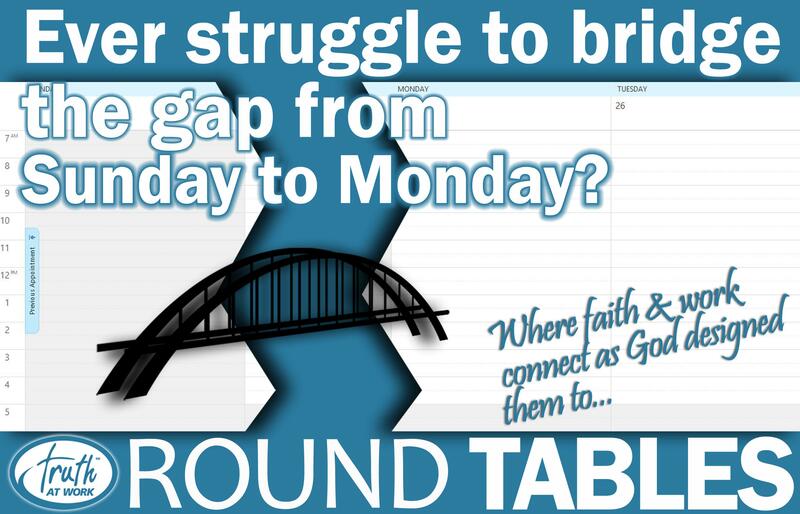 Come and learn how Truth at Work Roundtables encourages you in being intentional in your leadership.